VISALIA – Visalians are better at managing their credit card debt than other Central Valley citizens. 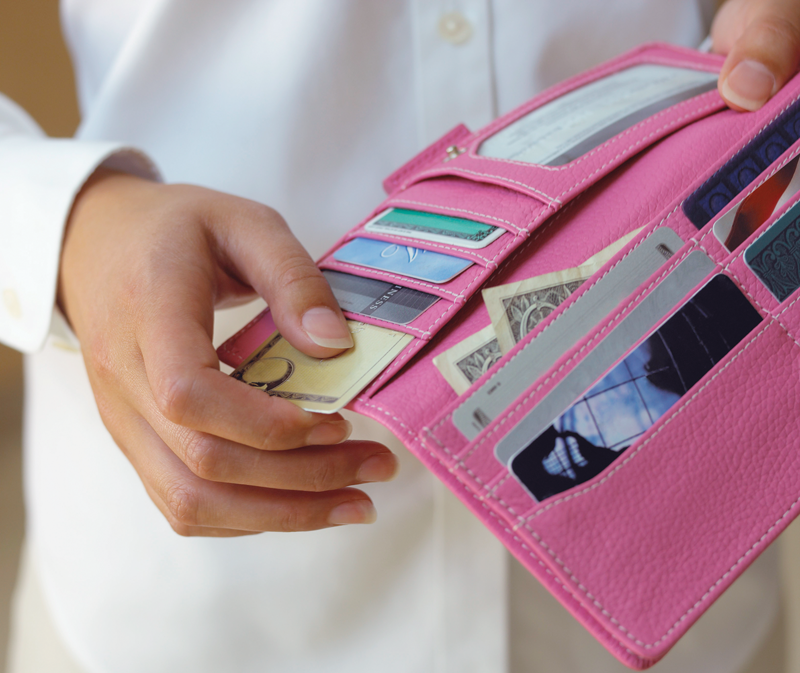 In a recent report by WalletHub, a personal finance web site offering analysis to consumers, Visalians paid off more credit card debt in the last year than two-thirds of the metropolitan areas in the country. 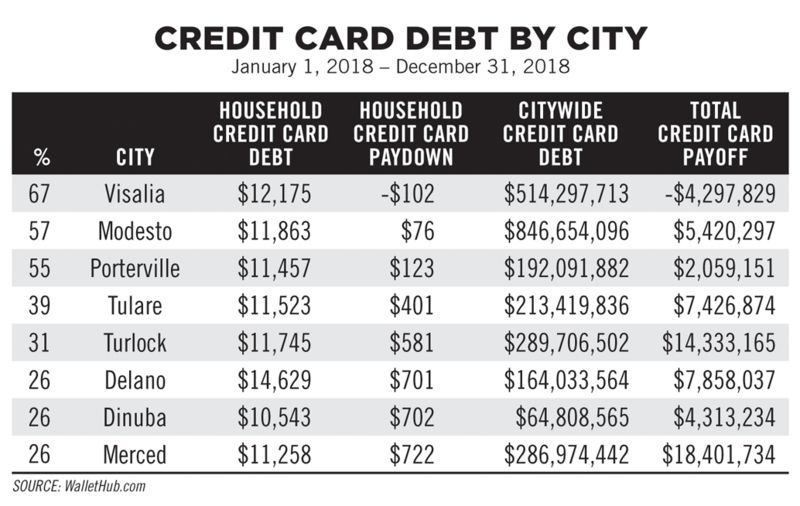 In all, Visalians collectively paid off $4.2 million in credit card in 2018 and was the only San Joaquin Valley city whose residents collectively owed less than the year before. That doesn’t mean Visalians aren’t carry too much credit card debt. The average Visalian is carrying more than $12,000 in credit card debt, second only to Delano with an average above $14,500, and nearly $4,000 more than what is considered sustainable for a household. Every city in the Valley had a higher average than the rest of the nation. The national average for credit card debt per household increased by 3% to $8,788, which is considered about $327 over what is sustainable for a household. The increase brings the total credit card debt for all households across the country to more than $1 trillion but was a net decrease of 24% over 2017. Americans are on pace to add another $60+ billion in credit card debt during 2019, too. Despite this pattern of overspending, which barely missed a beat following the Great Recession, 9 in 10 Americans believe their personal finances currently are managed better than the federal government, according to WalletHub’s nationally representative credit card survey. Why? The contentious political climate clearly has a lot to do with this sentiment, but not everything. For many, desperate circumstances necessitate desperate measures. Some people also seem to have a dependence on debt that’s bordering on addiction. Others simply may not grasp just how debilitating of an effect significant credit card debt can have on our finances, both personally and as a nation. Otherwise, it’s difficult to justify how more than 6 in 10 people could admit they would go into credit card debt for “frivolous” purchases, as the respondents in WalletHub’s survey did. There may be a silver lining, however. At least people are being open about their personal finances, which is not always easy. For example, 21% of WalletHub’s survey respondents said they’d be more comfortable baring all physically than exposing themselves financially. And that figure jumps to 30% among men. People with credit card debt also seem eager to do whatever it takes to change their circumstances. In fact, more than one-third (36%) say they would do anything to get out of the hole. Now, that might be going a bit too far, but it’s the thought that counts, right? Still, it’s good to see some urgency in addressing this topic. More than 9 in 10 people say they are at least one year away from debt freedom. That timeline could get a whole lot longer if the economy takes a tumble first, however. For one thing, balance transfer offers are about as attractive as they’ve ever been, capable of saving consumers hundreds of dollars in finance charges and helping them get out of debt much sooner. But such offers largely disappeared during the Great Recession. Furthermore, an economic disruption could make everything less affordable, leading to increased delinquency rates and a downward spiral of financial pain…if we’re not careful.